Back in the city of lights again. This time, decided to be good citizens and took the RER into town. The problem isn’t so much with the RER as lugging the bags up an down the stairs of the metro. And when we got to Gare Montparnasse, decided it was a bit far and took a cab anyway. Going home tomorrow, we’ll just cab it to Denfert Rocherau, then take the RER to CDG. It will still beat the 55 â‚¬ cab fare all the way to the airport. During our afternoon stroll, which started out with a couple of fougasses to keep the vultures away, we passed through rue Montsouris. 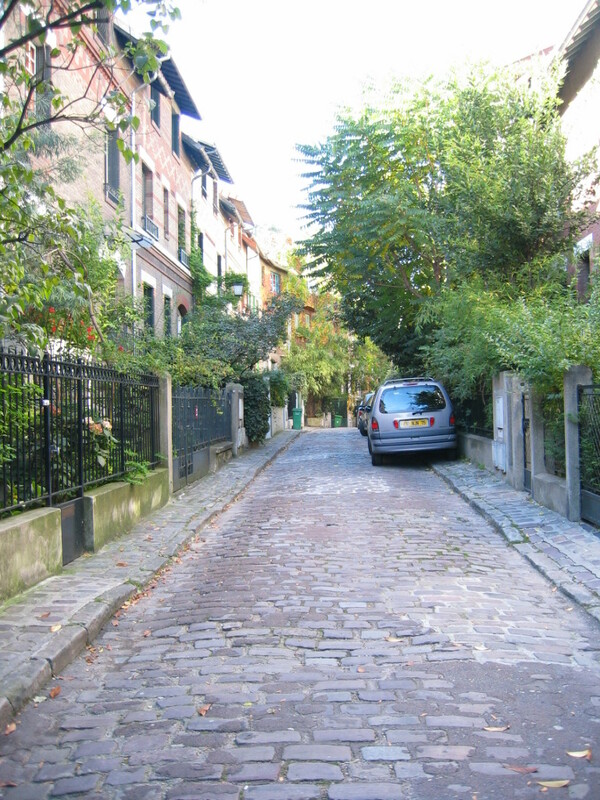 You could visit Paris a hundred times and not find all the charming hidden treasures like this little “private” street lined with houses from the 1920s, each with beautiful gardens and vines. Also passed through Cite Universitaire before stopping on Rue Daguerre for a quick drink. Tonight’s main event will be a celebratory feast of Bouillabaisse at the Montparnasse legend, Le Dôme. Eggads! Time to head out now! To the fishmobile! Next PostNext Roma blogging: giovedi. Ciao, Roma!